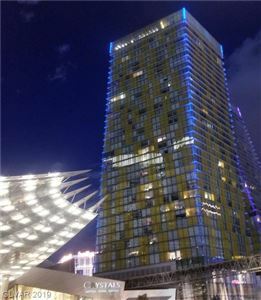 In the heart of Las Vegas Citycenter, home to luxurious boutique retail therapy, exquisite world class dinning, entertainment and an incomparable night life stands the two twin 480 ft. Veer Towers; the only all-residential building at Citycenter. Offering views of the Vegas skyline from each of the 670 luxury condominiums they house. The rooftop sky decks include infinity edge swimming pools, hot tubs, sundeck and summer kitchens, lounges on the 37th floor, billiard rooms, private residential driveway leads to separate vehicle entrance manned by valet services and monitored by 24 hour security offering residence only the finest in luxury living and privacy. All this surrounded by incredible architecture that illuminates world class art and style with beautiful natural light. Discover 360° living at Veer Towers, welcome to the neighborhood.